Toronto, Ontario, Saturday, June 6, 2015 - Nearly 350 faithful, together with a large number of clergy of the Diocese of Canada welcomed His Holiness Serbian Patriarch Irinej, Administrator of the Canadian Diocese, at the airport on Friday, June 5, 2015. Serbian children in folk dress served His Holiness the traditional bread and salt upon his arrival. 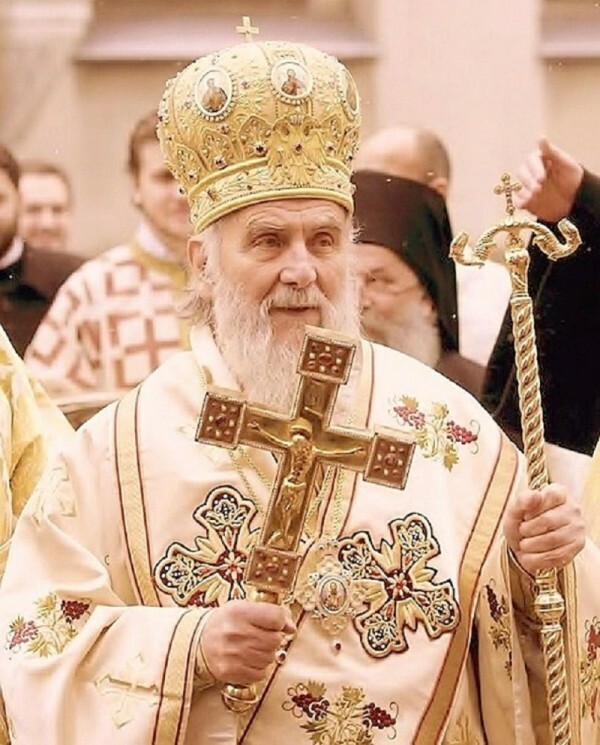 The faithful approached His Holiness to receive a blessing in the hope that with the arrival of the first hierarch of the Serbian Orthodox Church unity be restored in this diocese. The Patriarch, in his brief greeting, noted that he has visited Canada on many prior occasions but this was a very important visit. He reminded the faithful in attendance that the Holy Assembly of Bishops appointed him as administrator of this diocese, with all rights and priviledges of a diocesan bishop, and he has come to call all to mutual love, harmony, unity and joy.